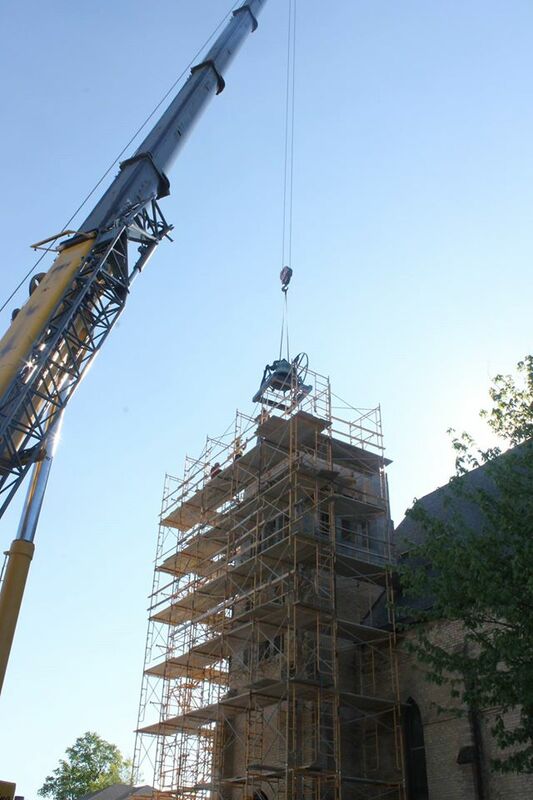 Work continues at The First Baptist Church in Portland, MI. The church was partially destroyed by a tornado that struck in the summer of 2015. Today, WIELAND completed the reinstallation of the church bell in the bell tower. WIELAND will continue to oversee restoration efforts throughout the spring.